Runnin’ Redwoods is a non-profit competitive youth basketball program. Players from the San Lorenzo Valley and Scotts Valley areas begin participation after the regular SLV Hoops recreation season. Additional information can be found on the SLV Hoops website. Ordering uniforms is easy with this form. Players may deposit funds into their team account using this form. 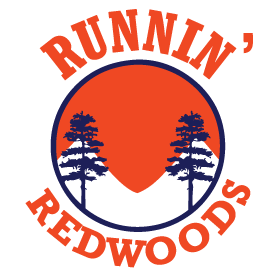 Runnin’ Redwoods is affiliated with AAU. Use the club code (WYTYW4) when purchasing player insurance and/or registering your team. All players must register through the AAU site. SLV Youth provides accounting services to Runnin’ Redwoods. SLV Youth does not secure practice or gym space and does not provide medical or liability insurance. Medical and/or liability is provided through AAU. All teams must submit a season plan, rosters and budget to info@slvyouth.org before a team is recognized by SLV Youth. A set of sample documents can be obtained by contacting the league administrator directly. Each team has their own spending account. Current accounting records are available upon request to participants. Deposits to team accounts must be accompanied with a Deposit Form. SLV Youth accepts credit cards for player fees and sponsorship donations. Team administrators use a Check Request Form to request payment for tournament fees. To ensure accuracy, payments are made to vendors only when funds are available in team accounts. And do not result in a negative balance. Reimbursement to individuales is not preferred. When unavoidable the expense must be previously authorized and a valid vendor receipt must be obtained. A copy of a written check or credit card receipt is not acceptable. Reimbursements are not processed until after participation in the event has been verified. When the season is complete SLV Youth will close the team account and work with team administrators to return the funds to the general scholarship fund or return the balance to the participants.